We recently spoke to French girls about their thoughts on engagement rings, and their feelings were mixed. But when it comes to another stylish European demographic, British girls, they seem to know exactly what they want. An engagement ring expert, London-based 77 Diamonds creative director David Allen, recently told British publication The Telegraph that the most-requested engagement ring style of 2016 is the Art Deco–inspired Asscher ring, thanks to newly engaged Pippa Middleton's stunning ring. Asscher stones are characterized by their square shape and a distinctive step cut of the stone, which lends vintage appeal. Middleton's elegant ring is in the halo style, another major engagement ring trend this year. As a testament to the popularity of Middleton's ring, Allen said, "We always notice an influx of inquiries and sales about certain styles and settings when a celebrity gets engaged, but when Pippa did it was so much more noticeable." Love Middleton's ring as much as British girls seemingly do? 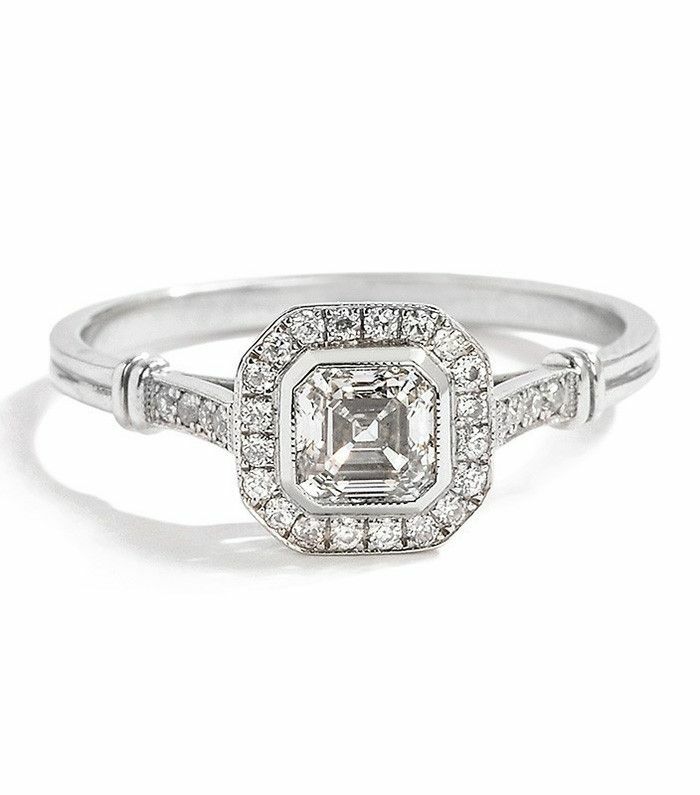 Keep scrolling to shop a few of our favorite Asscher engagement rings, and read more about British engagement ring trends on The Telegraph. This has the makings of a future heirloom. Rose gold gives an Asscher stone an updated feel. This simple setting lets the diamond shine. Any fashion girl would love this unique ring. How do you feel about Asscher-cut rings? Tell us in the comments!